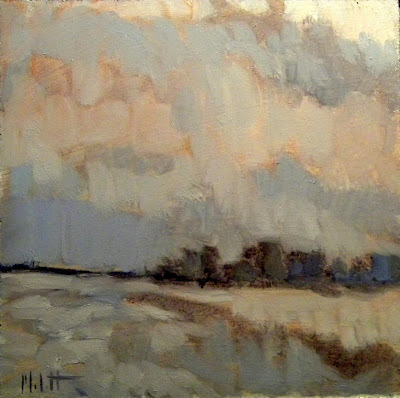 6" squared, oil on gesso artboard. Dramatic winter skies. I am happy how the brushstrokes define the mode of this snowy weather. 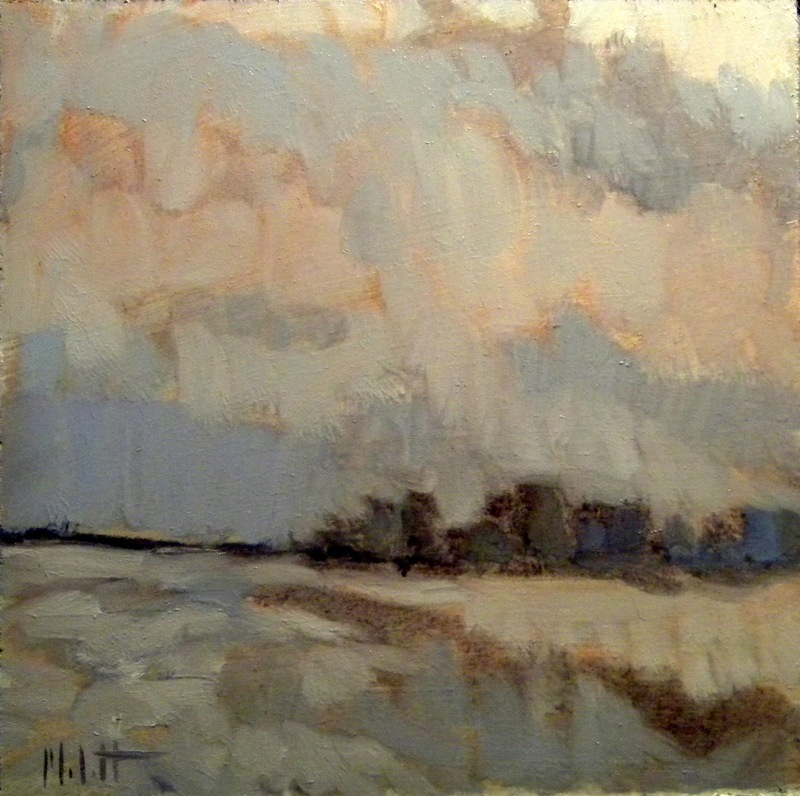 Love the light and the brushwork in this beautiful winter painting!